Windows is a popular OS platform for smartphones and computers. Windows phones provide an amazing platform for playing games with its rich hardware support. People like to play Games for passing their free time. Microsoft Store provides Games in many different categories like Racing, Sports, Adventure, Shooting, puzzle etc. Windows games are full of adventure and Fun. In this article, we are going to listed out best games for windows phone with details and download links. We can easily pass our free time by playing games. List Of Best Games For Windows Phone. 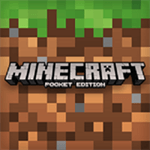 Minecraft pocket Edition is an excellent mobile game. It is based on the action-adventure platform. This game has been hit on Android play store as well as iTunes and is also available for the Windows phone users. Explore unknown words on the adventure mode for creating your own with the creative mode and unlimited resources. The possibilities with Minecraft endless. It is a must game for every mobile gamer. Angry Birds is one the most popular Game of Windows Platform which is available on Microsoft platform for free. It has a rating of 4.4 on Microsoft store. It provides 300 interstellar levels with different difficulty level. It provides unique playable characters. Each character has different special abilities. It also provides zero gravity space adventure. These games provide awesome background themes. It is compatible with Windows 8, 8.1 and 10. 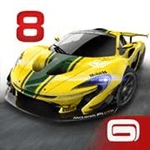 Asphalt 8 is without a doubt best racing game available on any mobile platform. It is one of the best games for windows phone. There is a huge list of cars to unlock and many exotic tracks which you can race on in various game modes. The game has stunning graphics and great controls which offer a great experience for racing the only downside is the game requires a huge amount of space on your device but it is totally worth it. It is an award-winning strategy game with million of download on the Microsoft Store. It has a rating of 4.5 on Google play store. It provides awesome 3D graphics and awesome gameplay. We have to build our kingdom and save it from our rivals. We have to build our castle and defence with simple flicks on our screen. Build and customise our buildings and deploy the castle guard to defend our castle. 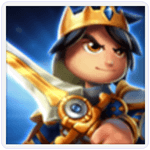 We can battle with thousand of players around the world and become the real king. 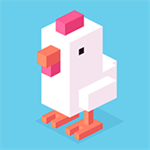 Crossroad is a retro Arcade style game which is annoyingly addictive. All you need to do is stop on your screen to make your player cross the road safely but it is not as simple as it sounds. The game plays very simple yet very addictive and the game is very famous across all platforms. Even we have spent playing this game and we highly recommend it. 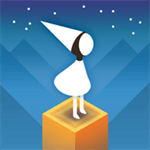 Monument Valley is a very famous person game which is bound to challenge your mind. The game has been featured in shows like House of Cards because it is so famous. We were a bit surprised to find out that it is available on Windows phone platform but that is a great news for you guys go ahead and install this game. The game has great graphics and is fun to play. The ratings and reviews of this game online support the fact. Sonic Dash is one of the best Adventure Game which also available on Microsoft store a with a rating of 4.4. In this game we have to run along the way and collect more and more coins to upgrade our powers. We can also use sonic dash to overcome all the obstacles of the way. This game also provide the daily challenges to collect more awards. It provide awesome graphics and easy to play interface. It is compatible with Windows 8, 8.1, 10. It is another popular game in the list of best Games for Windows phone. 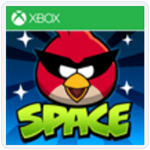 It is a combination of Arcade and Adventure Game which has a rating of 4.2 on Microsoft store. In this game lap has to save his friends and family alone. We have to help lep in gaining different powers and abilities. This game offer 8 different world with 64 levels. It provide 10 plus different items and abilities which help is to complete levels. We have to defeat 13 enemies. It is an amazing game in the list of Best Games for Windows Phone. 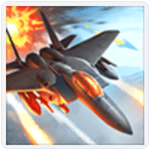 It is a 3D Aeroplane fighting Game in which we have to shoot enemies plane. We can easily upgrade our aeroplane and customise it with different weapons. This game offers dynamic non-stop battle. Players from all the world can play online. We can feel the power of a Combat plane. It is compatible with Windows 8, 8.1and 10. It is an amazing game in the list of best Games for Windows phone. It is a combination of Arcade and Action game. It has a rating of 4.5 on Google play store. 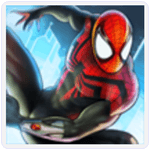 This game provides a chance to play the role of a Famous Marvel series character spiderman. We can play its story mode with 25 different missions and 5 boss battles. We have to swing, Run, fight against the crime. It is compatible with Windows 8, 8.1,10. It is another popular game in the list of best Games for Windows Phone which has a rating of 4.4 on Microsoft store. It is an addictive game with awesome graphics and easy to play mode. 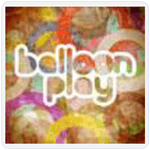 In this game, we have to shoot as many Balloons as possible in available resources including time and arrows. Beware aware of the special balloon that stops the game before our time and can also decrease our score. Hence, these are the best games for windows phone available for your windows store. Download them and enjoy from the links given. Share your thoughts in comments below.